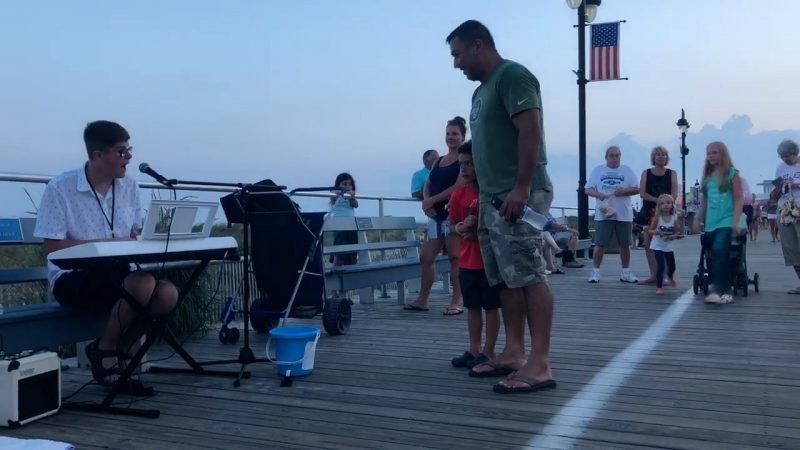 Bryan Woolbert is a visually impaired college student who plays his electric keyboard on the Ocean City Boardwalk to entertain the crowds of summer tourists. 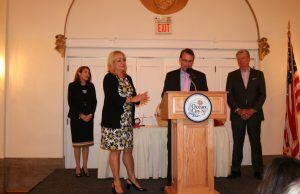 On Thursday night, he was ready to perform in front of a different audience – the mayor and members of City Council. He brought his instrument with him to the Council meeting, but no one asked him to play. 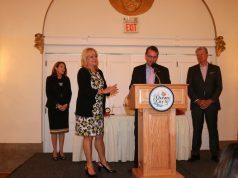 Still, he impressed the roomful of elected officials. In this case, it was his words that moved them. 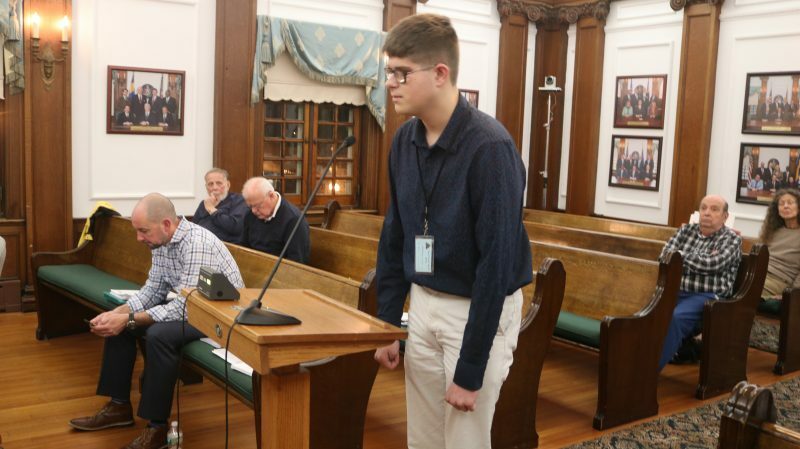 Woolbert, 20, of Egg Harbor Township, persuaded the Council members and Mayor Jay Gillian to revise a proposed ordinance that he thought might not let him play his electric piano on the Boardwalk anymore. 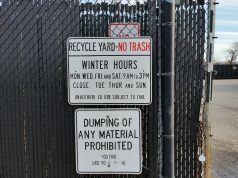 After listening to Woolbert’s concerns, Council and Gillian decided to table the ordinance so that it could be amended. Council will bring the reworded ordinance back at a later date for a final vote. “When we bring it back, we’ll make sure he can use his piano,” Gillian said of Woolbert. Bryan Woolbert addresses City Council about a proposed ordinance that would not allow Boardwalk entertainers to use amplifiers. 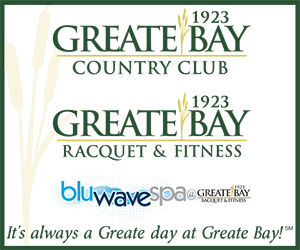 The proposed ordinance would prohibit Boardwalk entertainers from using amplifiers when they perform. 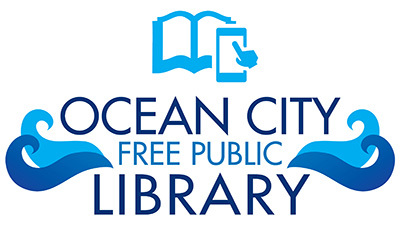 Council and the mayor said they are responding to complaints from merchants and the public that the performers are too loud, effectively drowning out the Boardwalk atmosphere with amplified music and singing. Wes Kazmarck, president of the Boardwalk Merchants Association characterized the proposed ordinance as a good compromise. It allows the entertainers to stay on the Boardwalk, but would quiet them down, he said. Woolbert was concerned that his battery-powered keyboard would fall under the amplifier ban. Council’s decision to revise the ordinance, though, means that his electric piano will be allowed. 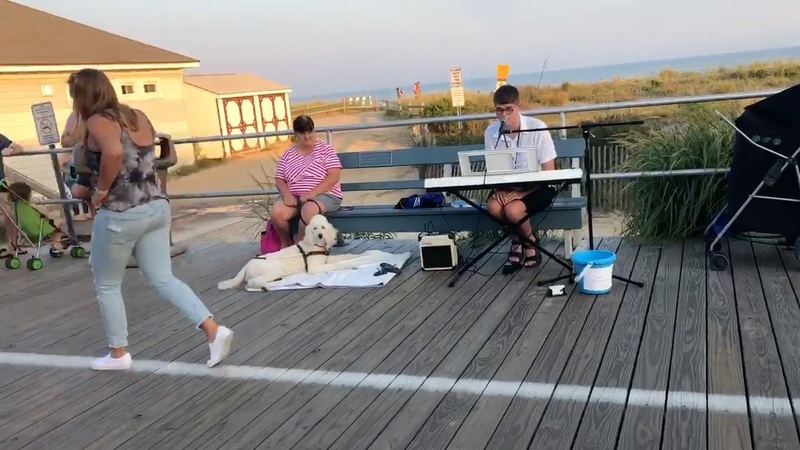 A musician, singer and songwriter, Woolbert has been entertaining the Boardwalk crowds for the past three summers, earning tips from people who stop to watch him. 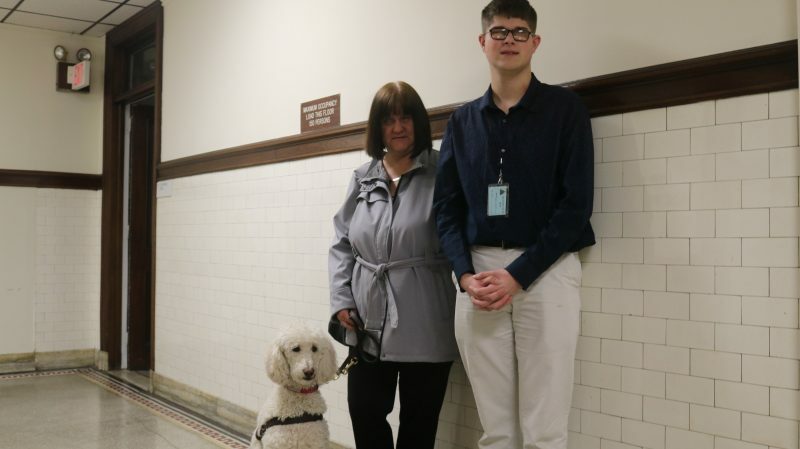 Bryan Woolbert is joined at City Hall by his mother, Suzanne Woolbert, and her guide dog, Luna. Woolbert, who is legally blind, can see in his left eye only. His mother, Suzanne Woolbert, who is totally blind, uses a guide dog, a poodle named Luna. She brought Luna to Thursday night’s Council meeting when she accompanied her son. Woolbert explained that they suspect there is a genetic component in the family’s visual impairment. Woolbert attends Cairn University in Langhorne, Pa., and is a music major, with a minor in computer technology. He hopes to make a career in the music industry by combining his musical talents with his computer expertise, perhaps as a music producer or sound engineer. He already is somewhat famous as a Boardwalk entertainer. “They ask him for his autograph,” his mother said of Woolbert’s fans.